This two-hectare site near the historic Wychwood Park neighborhood formerly housed a repair and maintenance facility for streetcars operated by the Toronto Transit Commission (formerly the Toronto Transportation Commission). The streetcars were serviced within five adjacent, parallel barns (each around 12 x 60 meters) built variously of steel-frame and concrete-frame construction between 1913 and 1921. 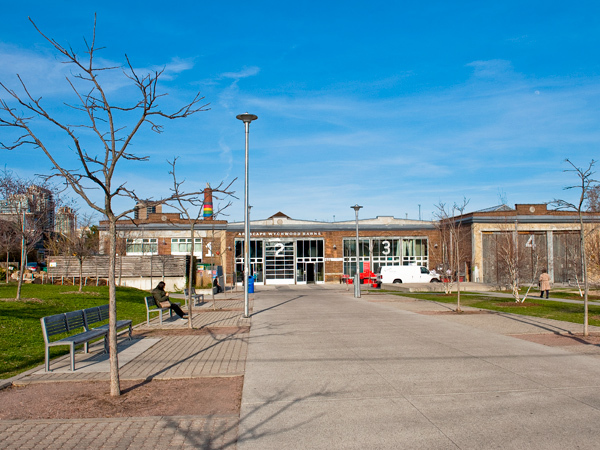 The facility closed in the mid-1980s, and ownership of the site passed to the City of Toronto in 1998 following a heritage study that detailed the significance of the industrial facility. 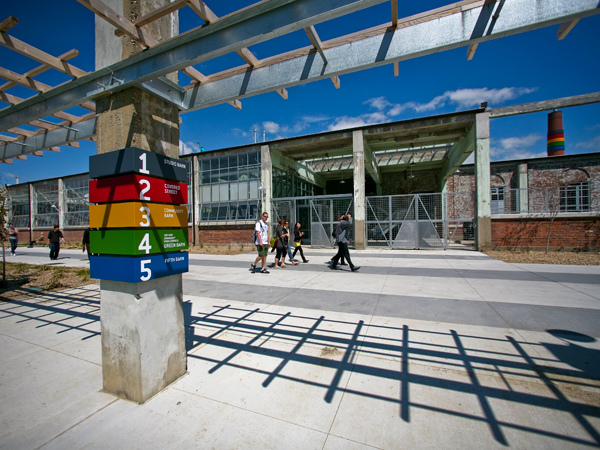 The Toronto non-profit Artscape spearheaded a plan to re-purpose the barns, and in 2008 the remediated brownfield site re-opened as a multi-use community center and public park. One of the barns, the so-called “Covered Street,” acts as an indoor pedestrian corridor, beneath which is a cistern for rainwater storage. Another barn serves as an open-air walkway, while still another, along the northern edge of the parcel, houses a community gallery and, entered individually from Benson Avenue, studio and residential spaces for artists. 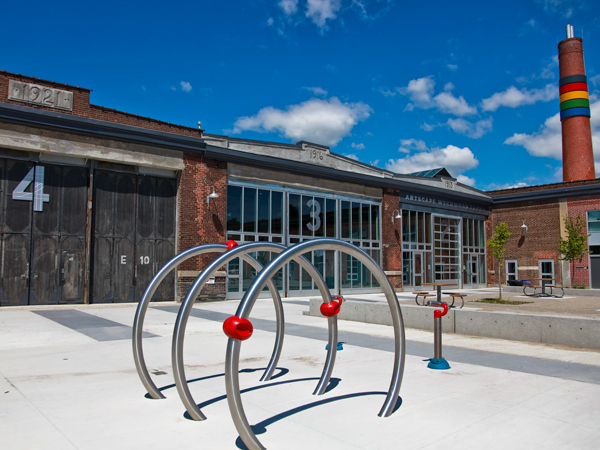 The barns are surrounded on the east, west, and south by Wychwood Barns Park, designed by The Planning Partnership and planted with more than 150 trees, 1,500 shrubs, and 900 perennials. At the northeast, the artists’ studios and Covered Street open onto a courtyard with an adjacent playground and gardens. 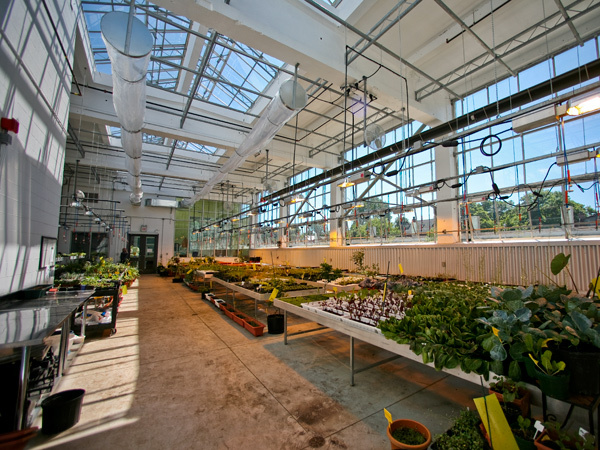 Paths that traverse the parcel echo the former street-car tracks, accessing recreational facilities as well as flower and vegetable gardens based on World War II-era “victory gardens,” some of which provide food to the tenant-artists.